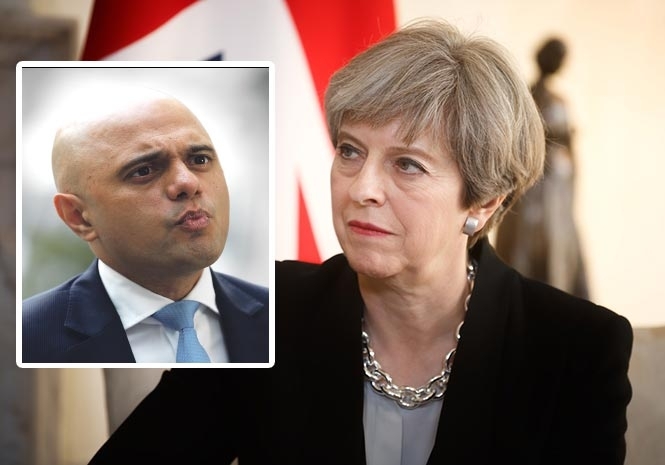 It should come as no surprise to anyone that one of the first pledges by Sajid Javid, the UK’s new Home Secretary, is to declare war on Theresa May’s immigration policies. After all, how dare she follow the will of most of the electorate and come down hard on all those poor unfortunate immigrants! In his opening gambit Mr Javid has vowed to introduce a major relaxation on immigration laws and to ease the cap on foreign medical staff. This of course gives him the excuse that he is simply doing it because the NHS is so seriously short of health workers (which it probably wouldn’t be if the facilities weren’t so snowed under with immigrants!). This holier than thou façade is merely an opening gambit. If you delve a little deeper, you’ll find he is also considering no longer including students in the immigration figures, reinstating legal aid for ‘most’ immigration cases; which means the public will once again be laying out untold millions to the leeching lawyers and their bleating clients. And, wait for it, suspending the rule that illegal immigrants can’t open a bank account! What!? Yep you ‘eard. All those poor immigrants in the country illegally, will once again be allowed to open bank accounts (I didn’t realise there was a time when they actually could!). What are they going to deposit in them? All the begged, black or stolen tax-free money they’ve managed to accrue during their time on the run from the authorities? The mind truly does boggle. Anyway, back to the foreign medical worker plans. Any new immigration laws will of course include the families. Just how far down the family line are those to be included? Aunts? Uncles? Grans and Grandads? Cousins? Bit of a grey area that (natch). Another worry is of course the standard of training of those brought in. A somewhat disquieting figure to mull over is the fact, that over the last five years, of the 669 health workers struck off or suspended, 420 had been trained abroad. This figure was released by the UCL when the GMC were, yes, you’ve guessed it, accused of racism when marking the test results. The grim truth of the matter is, that according to a major study, at least half of those applying to work in the UK would not have the level of skills required because the competency exam is too easy. Who’s going to sort out all that ‘wheat and chaff’? When researching this information, I found it all a bit cloak and dagger to actually find any lists of those who had committed major medical mistakes, but the few I did manage to dig out sported names such as Ahluwalia, Narayana, and Abdullah. Errors included tools left inside the body, treating the wrong patient air bubbles and language problems. Can the UK’s illustrious new ‘unbiased’ Home Secretary reassure the public that this great new influx of immigrant health workers will be trained to the highest of standards, and not an incompetent bunch of dangerous second raters, let loose on an unsuspecting public simply to make Mr Javid more popular with his peers? Or, even more likely, a contender for Mrs May’s position?